LOCATION, LOCATION, LOCATION! Walking distance to Skytrain, Transit, new shopping district with trendy pubs & restaurants as well only steps away from a huge park with a community garden and Fraser Middle School. 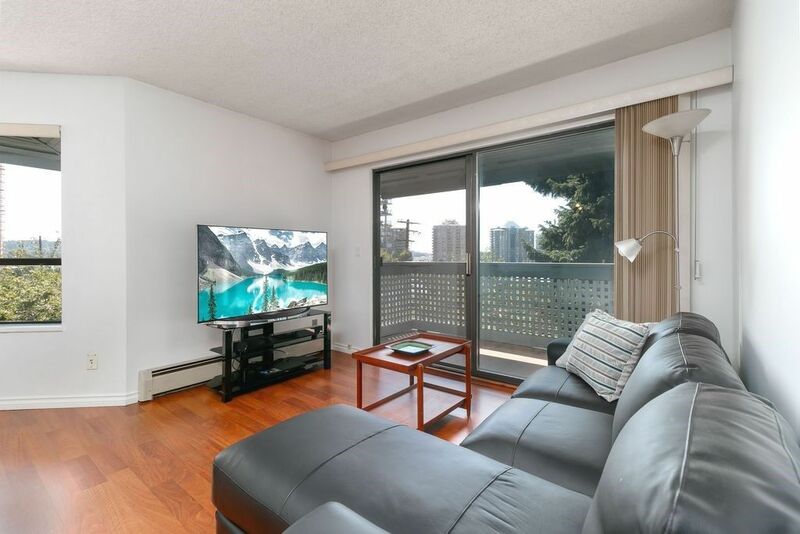 This corner SW facing condo has no one living above you and is super clean with updates over the years such as appliances, laminate flooring throughout, paint and toilets. TONS of storage in the suite with walk in laundry room! Building has been re-painted in 2017, roof in 2007 & re-plumbed 2005. Super central location, only 2 blocks to the Quay and with easy access to Vancouver, Richmond and Burnaby. OPEN HOUSE: SUNDAY AUGUST 12, 2:00 - 4:00pm.